If this year’s hot, rainy weather has taught businesses anything, it’s to be prepared for a power outage. Businesses grind to a complete halt when they lose power. This coming year, be prepared for whatever Mother Nature throws at your business with a commercial standby generator. When the power goes out, restaurants, bakeries, supermarkets, and coffee shops stand to lose not only business, but their inventory as well. Without refrigeration, foods will spoil. Dirty dishes will stack up in sinks. Bathrooms won’t be usable. Without power, chefs and baristas can’t whip up their signature dishes and drinks. 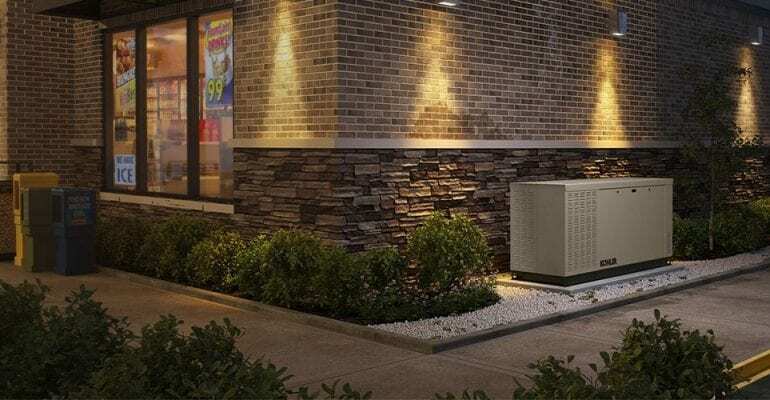 With a commercial standby generator, however, a food service business will not only keep their business humming along even during the worst weather, but can also serve as a source of sustenance to area residents and first responders who, too, have lost power. With a commercial standby generator, their business will keep running, serving meals to those who lost power. After the power emergency passes, business will get even better from the positive image they earned from staying open while others had to shut their doors. Without power, healthcare facilities—doctors’ offices, hospitals, and nursing homes—can’t perform surgeries, administer oxygen or IV medications, keep refrigerated medications cold, or keep patients warm. Even more important, they won’t be able to help those people impacted by the hazards caused by the foul weather. The cost—both in revenue and in human capital—is immense. The benefits of a backup generator are a must-have for a healthcare facility. The facility’s role as a public servant in times of emergency demands that it has a dependable source of power. In today’s competitive environment, a business who allows power outages and bad weather to shut it down will soon find its clients going to another provider. In a power outage, people will need cash. If the banks and ATMs shut down due to lack of power, people won’t be able to purchase food, water, or other needed items. Retailers who can’t keep the power on in their stores will miss out on the opportunity to sell the very items people require to meet their basic needs during a power outage. Batteries, bottled water, flashlights–even charcoal for those who must cook outside–are necessities. Retail gas stations, too, provide needed commodities. Without a commercial standby generator, these businesses won’t be able to serve the public and generate revenue. Without a commercial standby generator, most of today’s high-tech office equipment won’t work. Without power, an office’s water will not run, hence exposing its employees to health hazards due to the lack of sanitation. In a heat wave, employees may suffer heat exhaustion without air conditioning. With a backup generator, though, these businesses and organizations can keep most of their services going until power is restored. So can yours. Think about what could happen to your business without the benefits of a backup generator provides. Before the next power emergency, sit down to assess your risks, as well as how much power you’ll need during a power outage. 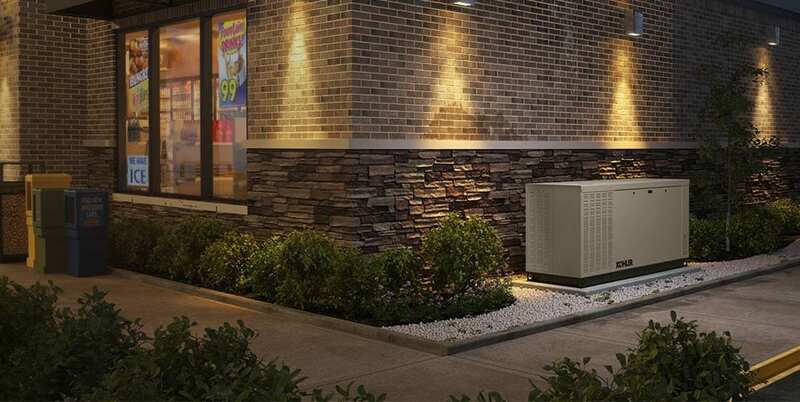 Consider a permanent standby generator that turns on automatically when the power goes out for continuous coverage. In most cases, the ability to stay open during stormy weather or other power outages will pay for the cost of the generator many times over. When you compare the initial cost with the money you’ll save over the years, you’ll wonder why you haven’t bought one sooner. Discover the peace of mind you’ll enjoy when you have a backup power source for Southern California’s all-too-frequent power outages. If you find yourself in an emergency situation without a standby generator, Duthie Power Services has the largest rental fleet in Southern California, and are available 24 hours a day, 7 days a week, 365 days a year. We also service all makes and models of generators, as well as offer new generator sales.